Home2S at Weston. Oh I do like to be beside the seaside. 2S at Weston. Oh I do like to be beside the seaside. 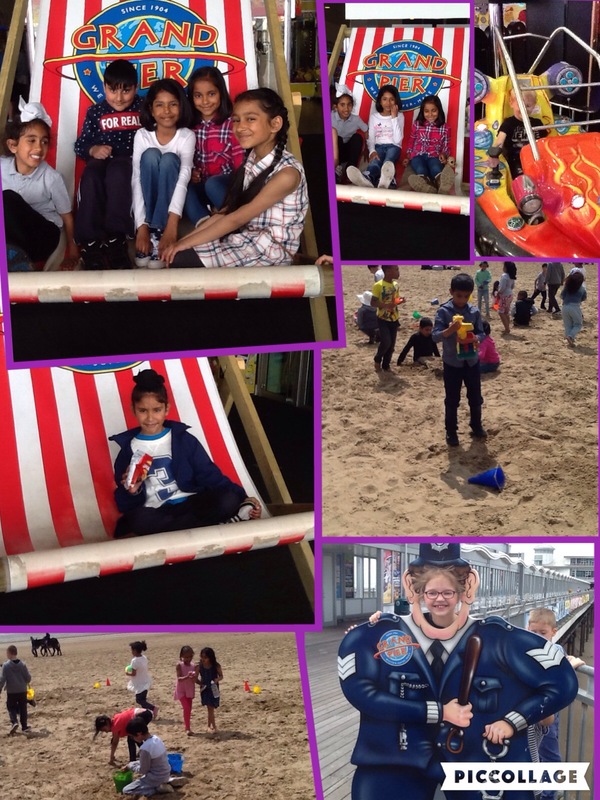 2S had an amazing time as Weson-Super-Mare on Friday. After leaving school on three coaches at 8.30am we all sang ‘oh I do like to be beside the seaside’ which kept the parents, teachers and coach driver entertained throughout the whole journey. 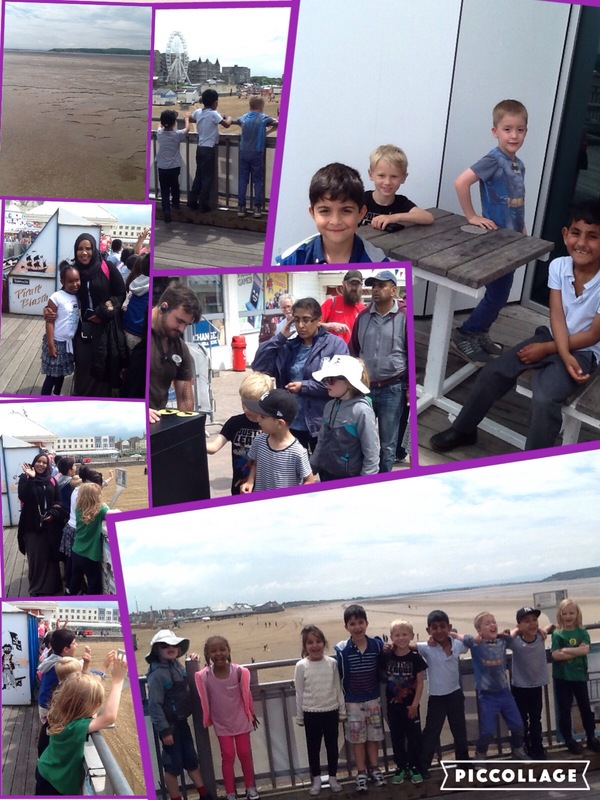 When we arrived at Weston it was 11.15am and luckily the sun was shining and it wasn’t raining. We walked to the beach with our lunches, buckets and spades and created a meeting spot for all the parents and children. 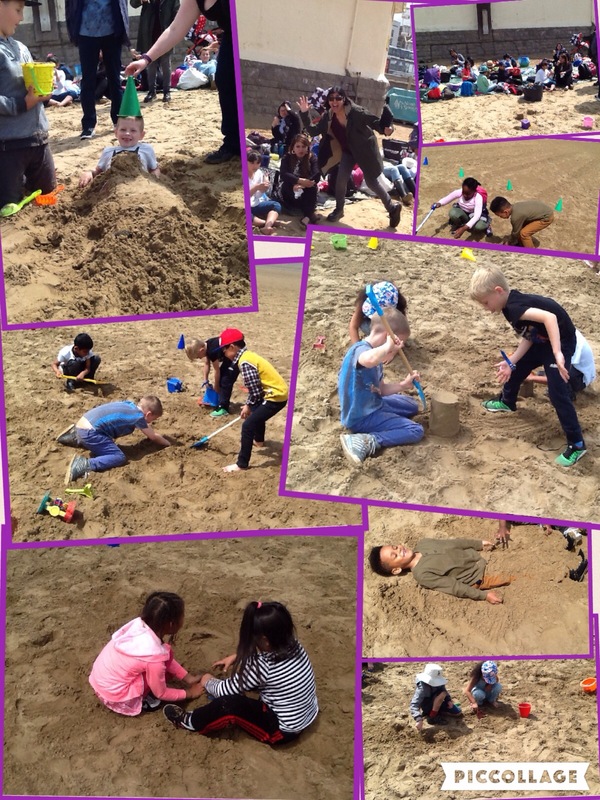 Some of the teachers put cones on the sand to show where we could dig, make sandcastles and even bury Miss Reeson. 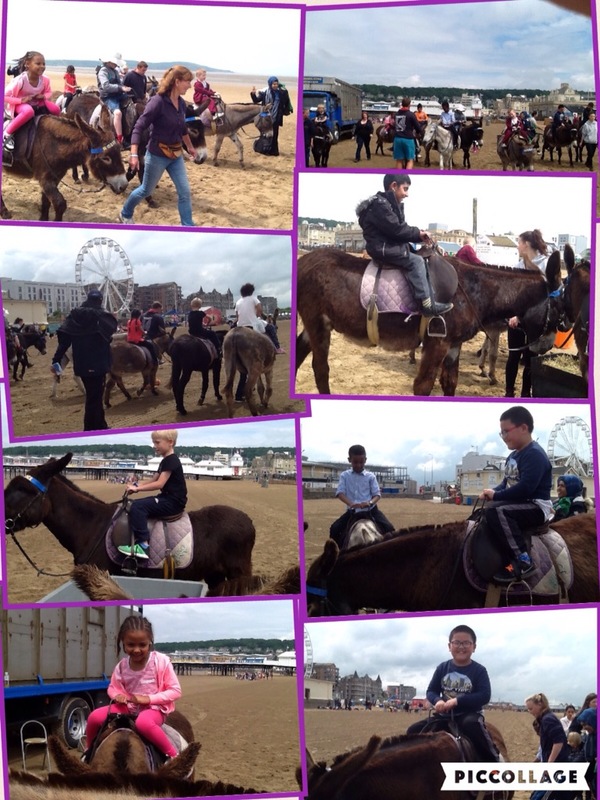 Soon after, Miss Smart and Miss Reeson took some of the children on a donkey ride. What did your donkey look like? What was your donkeys name? Our tummies were rumbling so we decided to stop for lunch. Miss Smart had a lobster and crab burger which she was so excited to eat. However, just as she went to take a bite five seagulls came and stole it out of her hands. Thank goodness Miss Reeson was there to protect Miss Smart. For dessert we all went and bought a £1 ice cream from the beach shop. It tasted delicious and Miss Smart and Miss Reeson couldn’t resist one either. 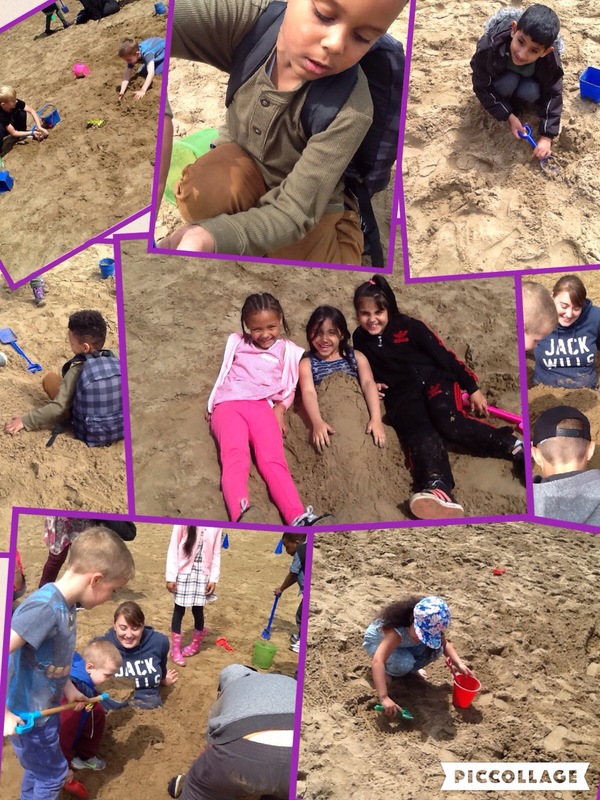 After lunch we built some more sandcastles where some of the children decided to bury Miss Reeson in the sand. Don’t worry we managed to get her out before the tide came in. 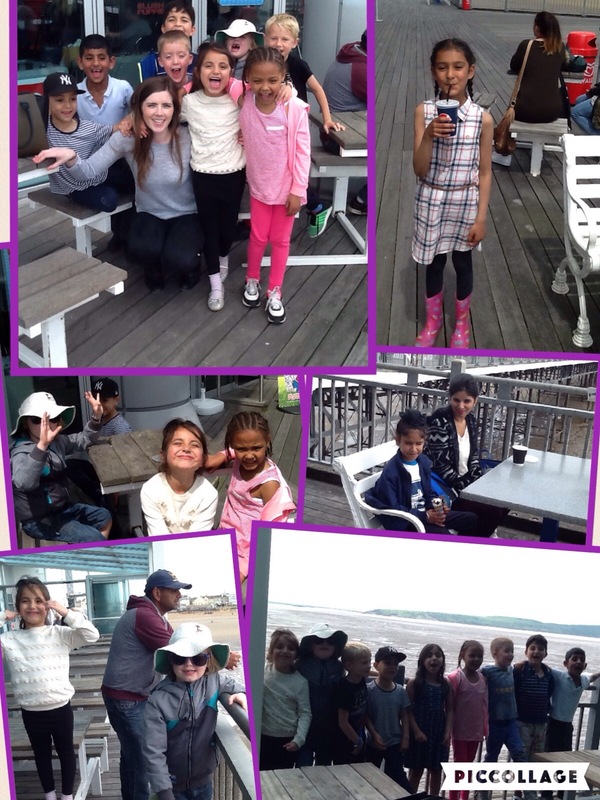 Miss Smart then took some of the children to the pier. It cost £1 to walk along the pier so we made the most of our time there looking at the scenery and watching seagulls eat fresh fish from the sea. 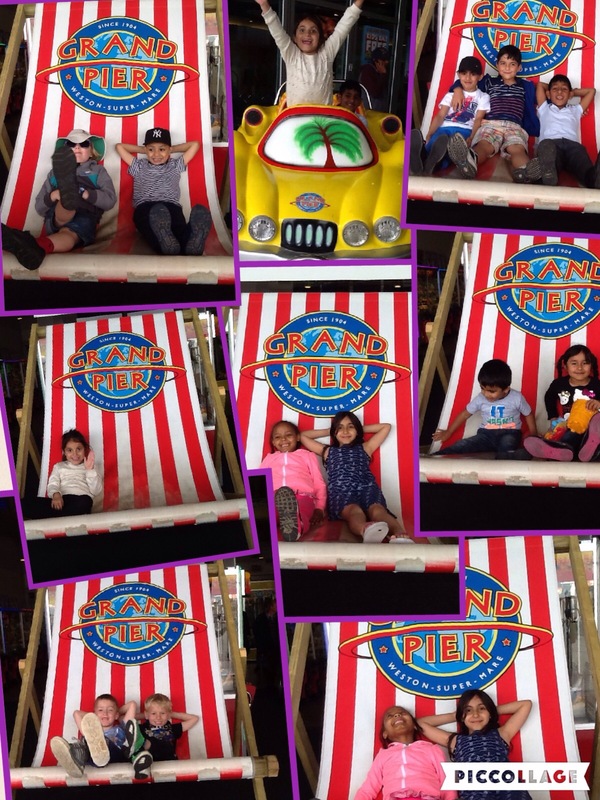 Some of the children even got to sit in the big deck chair before we went inside to discover the arcade. After leaving the pier some of the children had money left over. They had the option of going on another donkey ride or buying some seaside presents from the beach shop. You guessed it, the children all wanted to buy a souvenir. When we returned to the beach it was almost time to go home. However, there was still a little bit of time to build some more sandcastles. Just as we were about the pack up and walk back to the coach it started to rain. This made everyone walk faster to the coach so we were all on time to leave Weston. After more singing on the coach we arrived back at school at 6.20pm beating the other coaches. We cheered as we arrived and were greeted by Miss Haywood and some of the parents. I had an exciting time! I liked Weston super mare and the cunning seagulls who nearly stole my ice cream.